Your best delivery depends on your domain having the best reputation and recognition factor possible. Has the domain you send from (or plan to send from) been blacklisted elsewhere? Is it less than three months old? Is the from domain you are using the same as the one where people are opting into your mailing list? What is the difference between sending your mail from a shared IP server vs. a dedicated IP address? Is one better than the other for high volume email marketers? Think about how much mail you’re sending, and how much you want to send in the future, and whether a single dedicated IP address will be sufficient to accommodate your needs. Based on your volume, you may need two, three or more IP addresses to support rapid delivery of your mail. A great thing to keep in mind about dedicated IP addresses is that you don’t have to worry about your sending reputation being negatively affected by anyone else’s sending practices, as you do when sending from a shared server. You own your delivery – and your results – when you send from IP addresses that send your mail and your mail alone. Proactively managing your email list is a key component to successful delivery. Although most ESPs will automatically remove invalid emails, such as bounces, unsubscribes, and hard failures, there is still more you can do in terms of list maintenance. While you do own the addresses on your email list, if you decide to work with a new ESP they may ask you to submit a file of unsubscribed, invalid, and active addresses. This is done in order to find any problematic addresses during your account’s ramp-up process, so they can be caught before they cause any issues. Successfully onboarding a high volume email marketer can take time. Any ESP that allows you to start sending huge amounts of mail right out of the gate probably doesn’t have your best interests in mind. Starting slowly with lower volumes and working your way up is the best way to protect your sending reputation. This is true whether you are using dedicated IP addresses or a shared environment. High volume email marketers have unique challenges and needs, and having a point person, or dedicated account manager, at your ESP can be enormously helpful. This person should know email marketing inside and out, and should be able to speak to you on all of the above best practices, as well as any others that may be pertinent to your unique business. 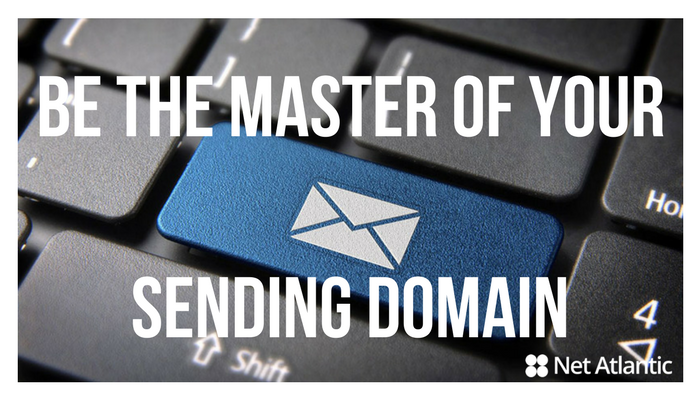 Now that you know about these best practices, you have the information you need to become the master of your sending domain. Now go apply what you’ve learned, and start reaping the benefits of better, faster email delivery! If you found this post helpful, there’s more where that came from! Visit our website to learn about how Net Atlantic helps high volume senders like you achieve their goals. And, while you’re at it, why not sign up for our newsletter and receive valuable and practical content you can use to do your job better.